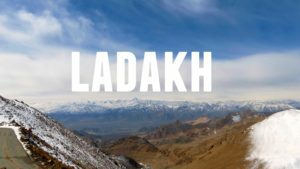 •While exercising powers conferred in Section 5 of Land Revenue Act, the State Government of Jammu and Kashmir issued a notification of creation of Ladakh as 3rd Division in the state. •Divisional status would facilitate this region in a great way to progress. Routine administrative clearances for Leh and Kargil can be obtained at Divisional headquarters in Leh. Apart from that, new Division also brings opportunities of employment of different levels in various departments for the locals. •Union Minister of Textiles Smriti Irani launched the India Size project in Mumbai. 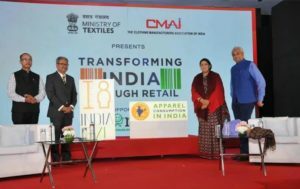 A first-of-its-kind project in the history of the country, India Size aims to arrive at a standard Indian Size for the ready-to-wear clothing industry, on the lines of the standardized sizes available in countries such as the USA and the UK. •India size project will benefit manufacturers, consumers and generate data which will help tap into the potential of the sector. 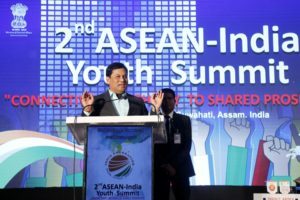 •Union Minister of State for Tourism KJ Alphons and Assam Chief Minister Sarbananda Sonowal inaugurated the 2nd ASEAN-India Youth Summit at Hotel Taj Vivanta in Guwahati. •Over 100 youth delegates from Vietnam, Laos, Brunei, Philippines, Malaysia, Singapore, Cambodia, Thailand, Myanmar and Indonesia took part in the summit tag-lined Connectivity: Pathway to Shared Prosperity, organised by India Foundation and the Ministry of External Affairs, Government of India. 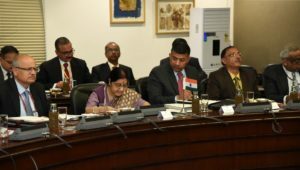 •India and Bangladesh have signed an MOU for training 1800 Bangladesh Civil Servants at the National Centre for Good Governance (NCGG) an institute under the Department of Administrative Reforms and Public Grievances (DAR&PG), Ministry of Personnel, Public Grievances & Pensions, Govt. of India, over the next 6 years. •The MOU was signed between the NCGG and the Ministry of Public Administration, Government of the People’s Republic of Bangladesh during the visit of the Foreign Minister of Bangladesh. •The Institute of Chartered Accountants of India (ICAI) announced that it has signed a pact with Invest India to promote foreign investments in the country and Indian investments abroad. Invest India is a government agency that promotes and facilitates investment in the country. 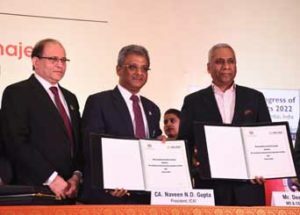 •The MoU was signed by ICAI President Naveen N D Gupta and Invest India MD and CEO Deepak Bagla. The objective of the MoU is to provide necessary guidance and advice to the potential inbound and outbound investors and promote India as an investment-friendly destination. •In a bid to recognize the outstanding performance and to promote a healthy competition by States/UTs, Urban Local Bodies, Beneficiaries and Housing Finance Corporations (under CLSS), Ministry of Housing and Urban Affairs has instituted the ‘PMAY (U) awards for Implementation and Innovation’ under the Mission. •The overarching purpose of the PMAY (U) Awards is to identify and reward the “Top Performers” in different categories, to encourage others to compete and attain the goal of ‘Housing for All’ in a sustained manner. 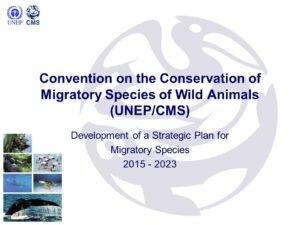 •The 13th Conference of Parties (COP) of the Convention on the conservation of migratory species of wild animals (CMS), an environmental treaty under the aegis of United Nations Environment Programme, is going to be hosted by India during 15th to 22nd February 2020 at Gandhinagar in Gujarat. •Representatives from 129 Parties and eminent conservationists and international NGOs working in the field of wildlife conservation are expected to attend the COP. •RBI in the exercise of powers conferred under Section 47 A of the Banking Regulation Act, 1949 has levied a penalty of Rupees one crore on the State Bank of India (SBI) for not monitoring the end use of funds in respect of one of its borrowers.